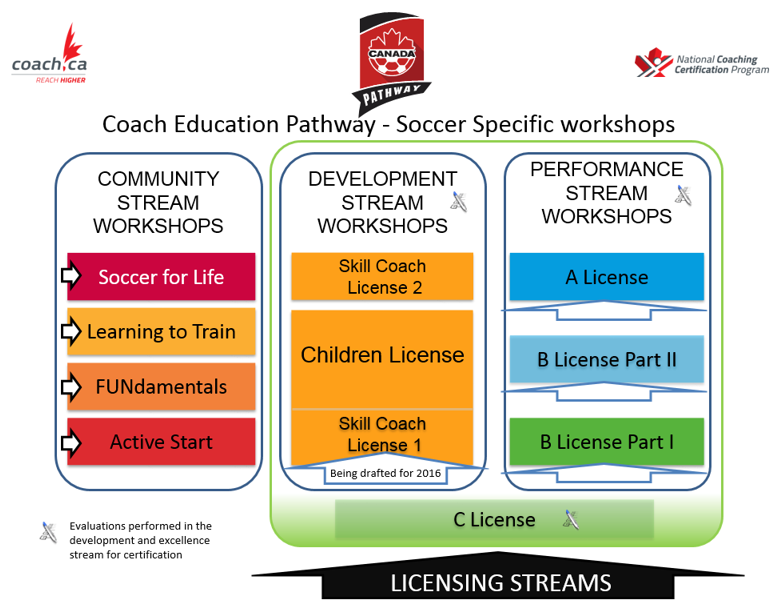 The new course format will include material developed based on the ‘Wellness to World Cup Long-Term Player Development Program (LTPD)’ developed by the Canadian Soccer Association focused on age and stage relevant training and coaching. There will be no pre-requisites to enter either of the new streams allowing coaches or organizations to determine what level of appropriate training they require. Soccer New Brunswick is pleased to offer to its coaches throughout the province, multiple coaching courses and training. Apply: Please contact your club if you wish to register in a community Coaching course. Regions and clubs wishing to offer the community coaching courses could send their application to Soccer New Brunswick. Please complete the following form. Click to download the Clinic Hosting Form. Note: Regions and clubs wishing to offer these modules are encouraged to contact us. Note: Clubs are encouraged to schedule GPS sessions by contacting their Regional Director. If you require additional information regarding the GPS program please contact the office.